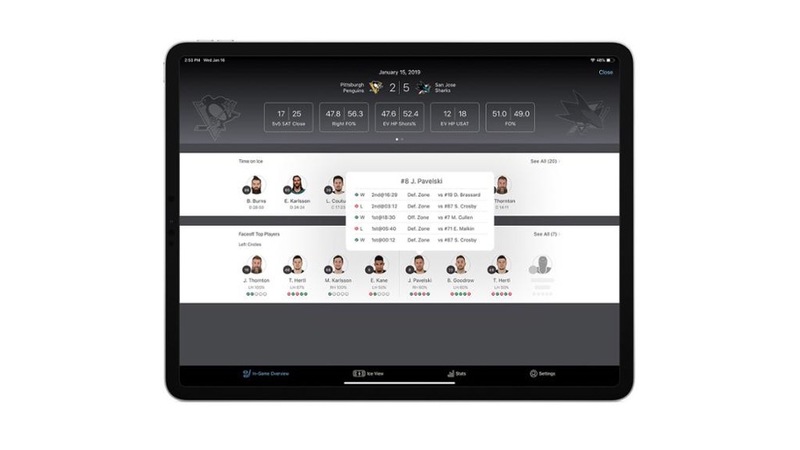 The NHL, SAP and Apple partnered to create a new app for iPad Pro to provide coaches with real-time player and team stats from the bench. The new app—called SAP/NHL Coaching Insights App for iPad—will provide over 60 different real-time stats during games. Currently, there are already three iPads on NHL team benches with real-time video. As for this new app, the NHL says it is expected to launch after the All-Star break, which takes place on January 26, 2019, but no set date has been decided yet. “There’s a lot of information out there, but coaches are still writing it down on pieces of paper,” NHL senior vice president, business development and innovation David Lehanski said, in a press release. The app is made for coaches only, with one iPad Pro for the bench during games and another for NHL video coaches, who will get admin rights to accounts. Information will be managed and stored by the NHL, with each team getting their own account; the League will not have access to how teams have customized stats data. 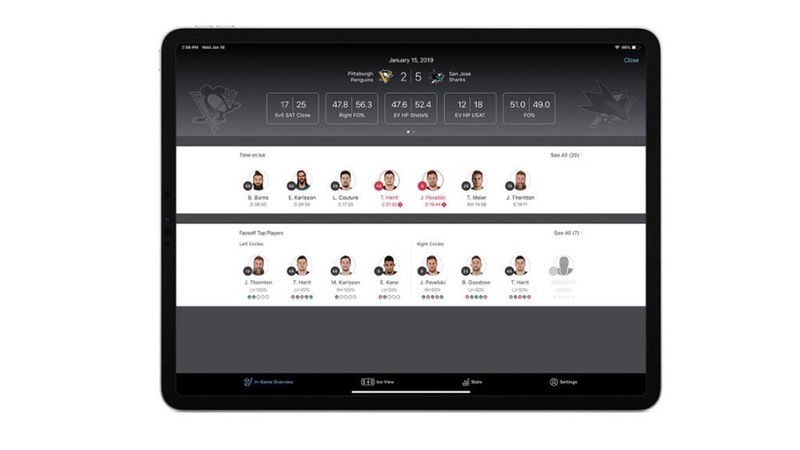 The app will make prominent stats such as player time on and ice and face-offs front and centre, as this is the data coaches need during games. Face-off wins can be shown by zone, side of ice, against specific players and also colour-coded graphics to quickly see how a player has performed in their last five face-offs. Time on once has customizable thresholds with a colour indicator of red, to show when a player has gone over their expected minutes of playing time. “Since it’s happening on the bench and really you have seconds to look down, you need some clear visual queues, color-coded queues to give you insights without having to read the actual text, that you can just in a glance look at,” Foster said. Other stats will offer statistics like shot attempts, unblocked shot attempts, shootout success rate, forehand or backhand shots and more. Coaches will gain instruction books and online training to familiarize and learn how to use the app during games, provided by the NHL. “Where the world is today, these guys now, their job is not even close to what it was 10 years ago. There is so much more they’re responsible for managing and knowing. We want to take that burden away and make it easy as possible so they have it all at their fingerprints. We want to give them all the data they have and all the insight they can have so they can make their decisions, even with their gut, as efficiently as possible,” added Lehanski.